Amir Hekmati has been convinced and sentenced to 10 years in prison. Amir Hekmati is a former Marine from Flint, Michigan. More than two and a half years ago, while visiting family in Iran, Hekmati was arrested and charged with espionage. His initial death sentence was overturned, but now reports have surfaced that Hekmati was secretly retried in December 2013. He was convicted of "partial collaboration with the American government," and sentenced to 10 years in prison. According to a recent New York Times article by Thomas Erdbrink, Hekmati's lawyer made a statement that confirms the retrial and conviction of Hekmati. Hekmati, nor his lawyer, knew that the retrial was taking place. The lawyer, Mahmoud Alizadeh Tabatabaei, also said his client had never been informed about the retrial, conviction or sentence. Mr. Tabatabaei said he learned this information only recently in discussions with judiciary officials, which he shared by telephone with Mr. Hekmati, who is incarcerated in Tehran's Evin prison, and with family members at Mr. Hekmati's home in Flint, Mich.
Amir Hekmati's sister, Sarah Hekmati, joined us to give us an update on the latest in the case. TEHRAN, Iran (AP) - An Iranian news agency is reporting that an appeals court has overturned a death sentence of an American man convicted of working for the CIA, instead sentencing him to 10 years in prison. The semiofficial ISNA news agency reported Saturday that lawyer Mahmoud Alizadeh Tabatabaei says a Revolutionary Court issued the verdict for U.S. Marine veteran Amir Hekmati. Tabatabaei described the verdict as final. A man from Flint, Michigan has been held prisoner in Iran for two years. 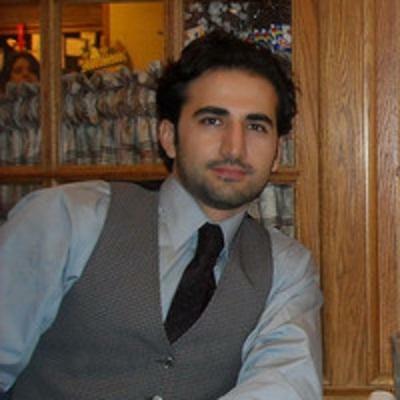 Amir Hekmati traveled to Iran to visit his grandmother in 2011. He was seized by the Iranian government and imprisoned. 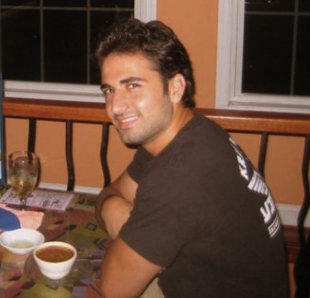 They accuse Hekmati –a former Marine- of spying for the CIA. He and the U.S. Government deny it. Democratic U.S. Representative Dan Kildee (D-MI), has been leading an effort calling for Amir Hekmati to be released. Kildee joined us on Stateside today. Amir Hekmati is a former U.S. Marine who has been held in an Iranian prison since 2011. He's accused of being an American spy. He was tried and sentenced to death in 2012, but a higher court overturned that sentence and he is now awaiting a retrial. His Flint, Michigan family has been working on his release ever since he was detained.